On New Years Eve 2006 our world came crashing down after receiving the devastating news that our little baby boy had died in the womb at 31wks. Nothing can prepare you for such a loss and all the hopes and dreams we had built up were suddenly gone…in a heartbeat. My creative career seemed to move my focus onto my little boy, my grief and the grief of others I met on our journey. I found myself making jewellery with his name on to help him feel closer and over time made many more pieces of jewellery for other mum’s and found my passion. In 2014, I set up Angel of Mine Jewellery to honour little angels and give families special keepsakes to wear and hold close. My mind often came back to our little boy and how much I craved the connection we had to last as long as possible, he will always be our little boy but I longed for something to hold, to keep close. I wanted to create something tangible that could be ‘shared’ with a baby to keep the connection more physical as well as emotional and after having a play with various shapes and ideas, I eventually came up with the idea of the ‘heart in their their hand’. 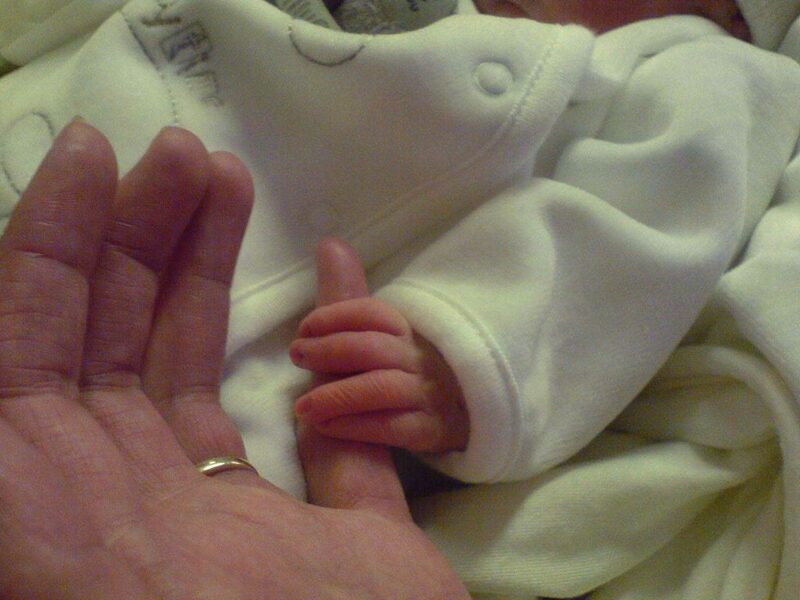 In April 2016 I launched the ‘Heart in their Hand Project’ as a way for parents to be able to offer a gift of comfort and connection to other bereaved parents, at a time they need it most, having gone through the devastation themselves. Within a very short space of time various baby loss charities fell in love with the hearts and wanted to order them for memory boxes and all of a sudden the project was reaching a huge amount of hospitals and parents! Very quickly I felt an overwhelming sense of ‘this is what I’m meant to be doing’ and to be able to provide hearts to families to help them feel that physical and tangible connection to their baby is just precious. I now provide the hearts to over 50 hospitals and charities and it is my goal to get them into every maternity unit in the UK so that every family can feel the tangible connection as they say goodbye. The collection has quickly grown into offering hearts for children, adults and pet loss as they say goodbye and I hope they provide even a tiny bit of comfort. Running the HITH project is an absolute labour of love! It warms my heart and breaks it all at the same time as I think about the families using them. But I feel it’s an absolute honour to be able to provide them for these precious babies and hope to reach as many families as possible.